The Russian oil company Lukoil highly appreciates the investment environment in Azerbaijan, he company's president Vahid Alakbarov said during a meeting with President of Azerbaijan's State Oil Company SOCAR Rovnag Abdullayev in Baku, AzVision.az reports citing SOCAR. 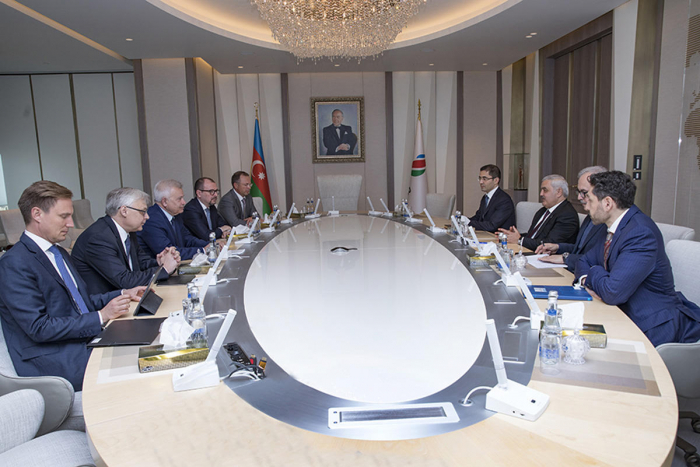 Long-term ties between Lukoil and SOCAR were discussed, and Lukoil's participation in projects implemented in Azerbaijan was highly appreciated during the meeting. Alakbarov said that Lukoil's relations with SOCAR are of strategic importance. He highly appreciated the creation of favorable conditions by the Azerbaijani government for foreign investments, and expressed satisfaction with cooperation in various areas. Lukoil has been operating in Azerbaijan's oil and gas sector since 1994. The company has a 10 percent stake in the Shah Deniz and South Caucasus Pipeline projects. The company is also involved in the retail fuel market.